As the government shutdown continues into its 18th day, some TSA screeners are quitting their jobs and calling out sick, not knowing when they will receive their next paychecks, according to a union representing the TSA. The union sued the federal government last week on behalf of its members. More than 50,000 people are employed by the agency and won’t get paid until the federal government reopens. Security lines are generally longer following the holidays, but flyers and staff have been reporting even more time spent waiting as screeners seek paid gigs elsewhere. The average TSA employee makes $30,000 a year, and some, like most Americans, likely live paycheck to paycheck. 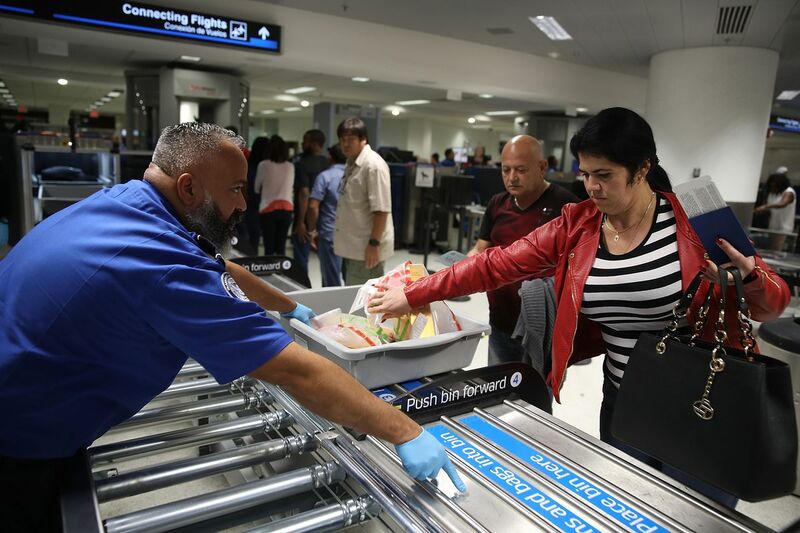 The American Federation of Government Employees (AFGE), which represents 44,000 people who work for TSA, put out a statement Tuesday saying that security screeners were beginning to quit as the shutdown persists. The AFGE council president Hydrick Thomas said that with officers leaving or not showing up, security may be at risk. According to Thomas, there are not enough trainees “in the pipeline” to replace those employees who have left. This could lead to overworked screeners and even longer lines over time. The partial shutdown began on December 22nd, and as of Tuesday, there’s no end in sight. Last week, the now Democrat-controlled House of Representatives passed a string of spending bills that would reopen the government, but the GOP-led Senate refuses to take them up, citing President Trump’s determination to authorize over $5 billion in funding for a southern border wall. Smaller, agency-specific bills have been proposed in the House as well, but have yet to receive a vote in either body.